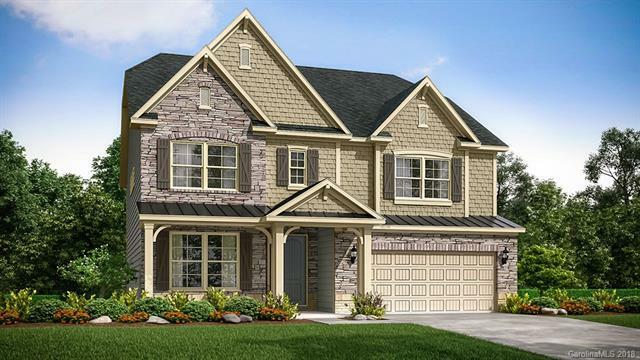 Beautiful new construction 5-bedroom, 4 full bath home just a short walk to Cox Mill Elementary & Cox Mill High schools. Popular Waverly floor plan has guest suite on main along with open kitchen/breakfast/family room. Four bedrooms, including master, 3 full baths & large loft & sizeable laundry fill the second floor. Well-appointed kitchen features upgraded cabinets, appliances & granite counters. Hardwood staircase & hardwood floors throughout the 1st floor with exception of guest suite. Tile floors & granite counters in all baths. Home is situated at the end of a cul-de-sac with no neighbor on one side and natural area behind. Ready for move in end of February, 2019.